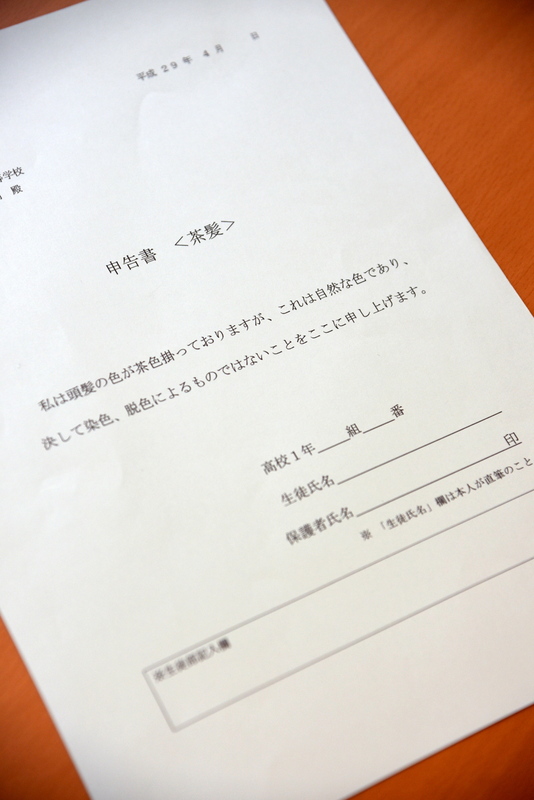 Around 80 percent of prefectural high schools in Osaka have requested students whose natural hair color is not black to confirm their original color, according to the results of a recent survey by the Osaka Prefectural Board of Education. The board was seeking to grasp regulations concerning hair color following a lawsuit filed by a local high school student in October. 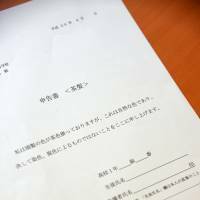 In the suit, the student is seeking ¥2.2 million in damages from the Osaka Prefectural Government, claiming her school demanded she dye her naturally brown hair black as a condition to attend classes. 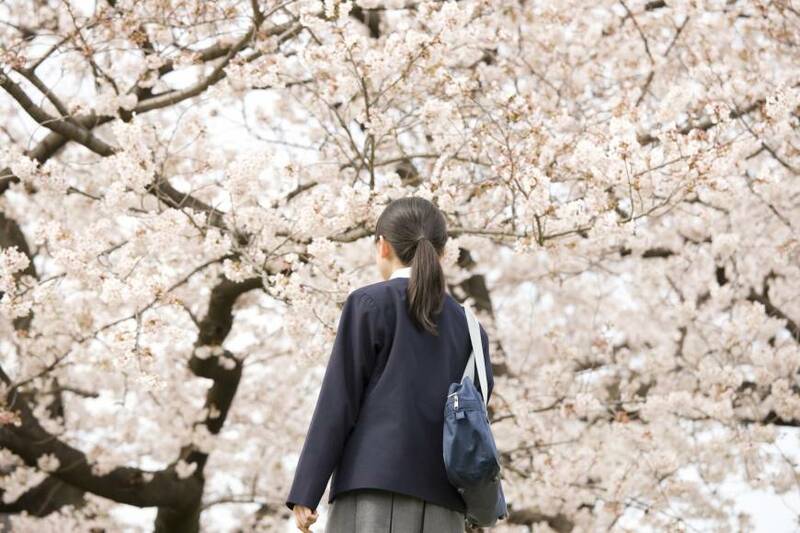 The survey, conducted at 137 prefectural high schools, found about 80 percent, or 109 schools, have asked students whose natural hair color was not black to confirm the real color. Of the total, 74 schools sought verbal confirmation while the remaining 35 asked for written documents. According to the results, 127 schools, or 93 percent, had regulations forbidding students from dyeing or bleaching their hair. For students who violated the rules, 48.2 percent said they instructed them to restore the hair to its original color, while 38.7 percent said they asked students to come to school only after they had changed the color back. Responding to the same question, to which multiple answers were allowed, 18.2 percent said they restricted students’ participation in school events, while 16.1 percent said they banned students from attending certain classes. In a statement issued Wednesday, the board of education concluded no inappropriate instructions or rules were found in schools. But it also urged teachers to give a thorough explanation to students and their parents to gain their understanding when confirming the students’ natural hair color. 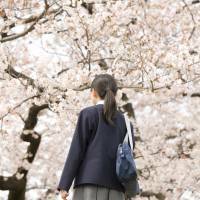 Tsunehide Agata, a professor at Naruto University of Education who worked as a teacher at a prefectural high school in Osaka for three decades, said the fact that schools ask students about their natural hair color is something that should not be criticized — as it is just for teachers to share information to avoid warning students by mistake. Rules forbidding students to change their hair color or other things such as using make-up are seen as ways of preventing them from becoming lost in their desires or struggling with their futures when they start working and have to follow social norms, Agata said. But Naoki Ogi, an education commentator and special professor at Hosei University, voiced a different view, calling the use of strict rules a violation of human rights. In Japan — where uniformity in the education system is more often praised than being different or unique — such strict rules to regulate hair color, or sometimes the length of skirts, were adopted by many schools in the 1980s when the country saw a spike in violence in schools, Ogi said. The strict regulations eased somewhat in the 1990s when more teachers attempted to guide students with counseling and by developing trusted relationships. But the trend eventually fizzled out as many failed to gain the trust of students, and strict regulations were put back into place, Ogi said. Ogi also noted that many high schools have even asked students to submit photographs taken when they were in kindergarten or elementary school to confirm that they are not lying about their natural hair color. “It’s mechanical. It’s not education,” Ogi said. Asking students to submit documents to confirm their natural hair color “is a violation of human rights as well as privacy,” Ogi added.